I was one lucky person with an *unusually* fast and stable STC DSL connection. So as soon as Apple released iOS 4 for the iPhone and iPod touch I decided to download iOS 4 and give it a try. After about two days of using it I was really impressed with this update from Apple. 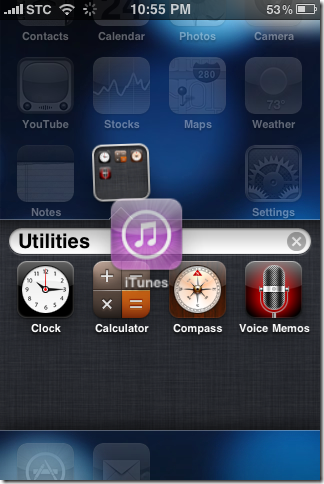 It is unappreciated as many people now sticking with iOS 3 and missing all the good features. 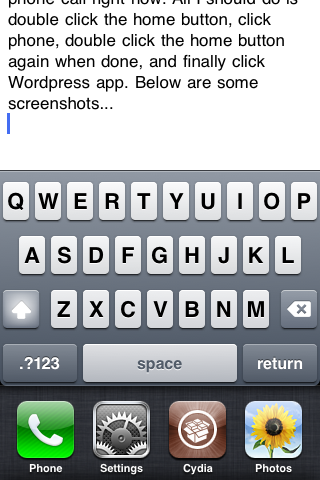 First of all, let me say that I’m typing this post on the WordPress app available at the App Store. 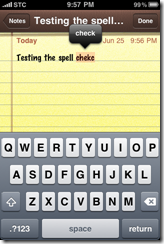 I am even more comfortable writing this post from here than from any other device such as an iPad or a laptop. 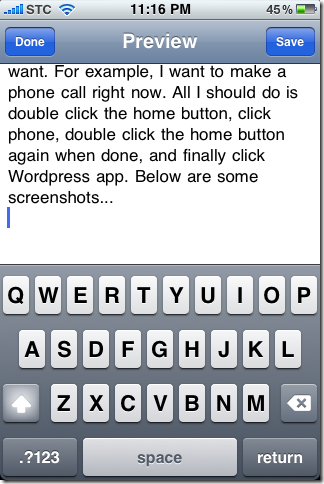 The reason being is that I can easily multitask between this post and any other app I want. 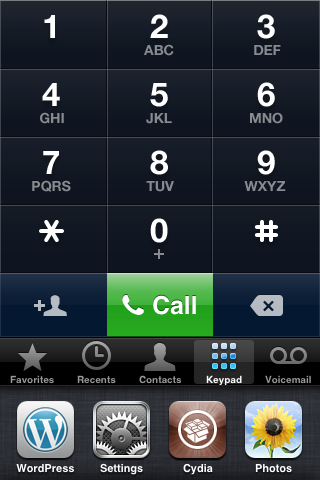 For example, I want to make a phone call right now. 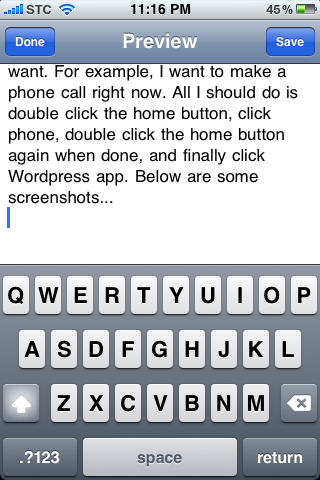 All I should do is double click the home button, click phone, double click the home button again when done, and finally click the WordPress app. 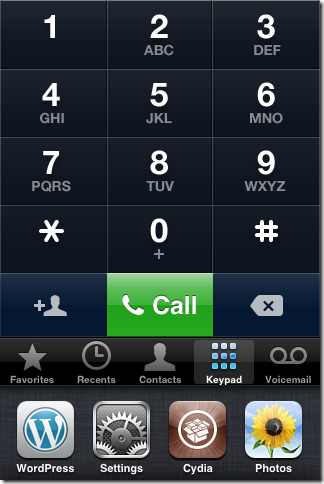 You can even switch from a game of tap tap, for example, to a phone call then go back and continue your game. Below are some screenshots of App switching. 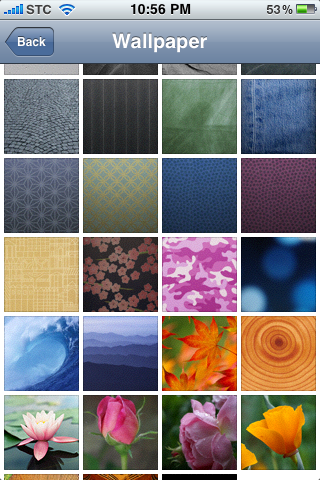 The second feature that really blows my mind off is the ability to actually make folders. I mean, finally!! We’ve been swapping through iPhone pages for years!! Our fingers hurt from all swapping. 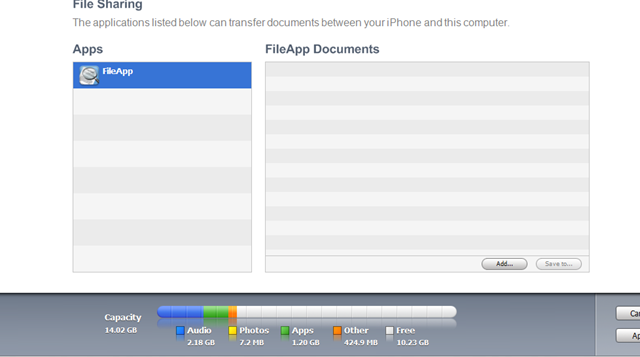 Finally, apple has implemented a folder organization method which is incredibly smooth and usable. 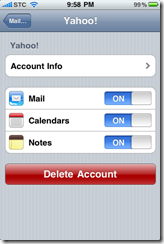 To use it, all you have to do is drag an app over another app and the folder will be named automatically according to the apps’ categories. Unfortunately though, you can only add 12 apps in one folder. You can check out the screenshots posted below. Another awesome feature, Which comes a little bit late from apple, is the 5X digital zoom in the camera. Although iPhone users have been living ok with the old camera app, the new camera app now includes a 5X smooth zooming capability. Also added in the camera is the ability to focus during video capture, but I didn’t see a major difference in the video recording quality. Along with these 3 major features came other minor ones. 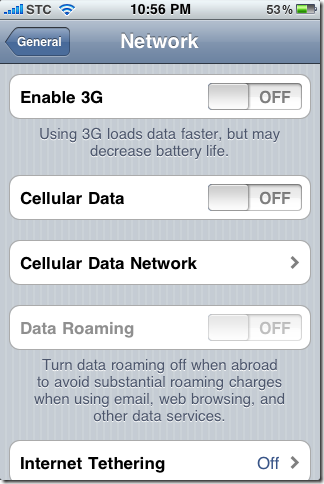 You now are able to turn your cellular data connection on and off. New Amazing iPod controls when you scroll to the left on the task switcher bar. 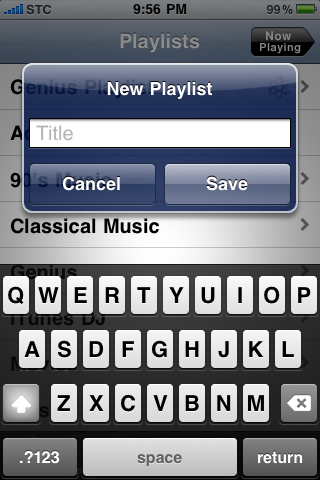 You are now able to create your own playlists on the iPod. 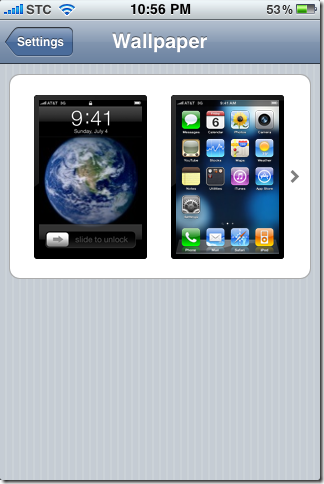 You can now lock your iPhone Orientation, stopping it from rotating into landscape when your in bed, for example. You now get to view your photos geographically using Google maps. 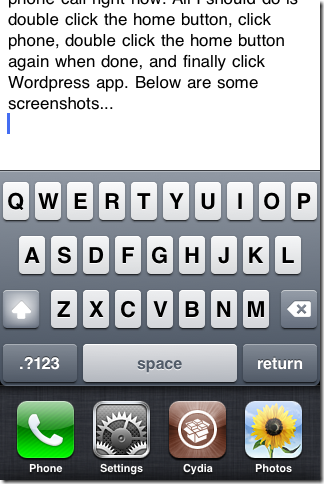 You also have support for multiple Microsoft Exchange emails. You now could have a unified email inbox and have notes and calendar entries synced to your mail account. You can also sync documents through iTunes with apps that support file syncing (such as FileApp). 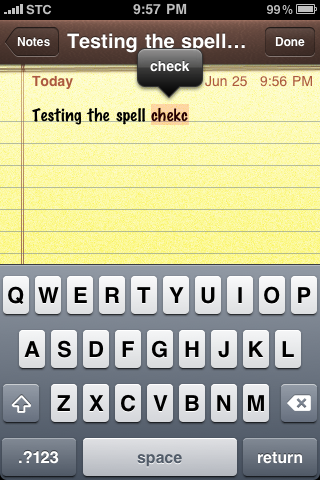 Spell check has finally been implemented. 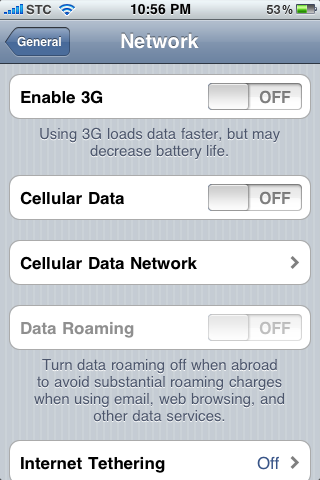 You can also enable or disable the cellular data network. 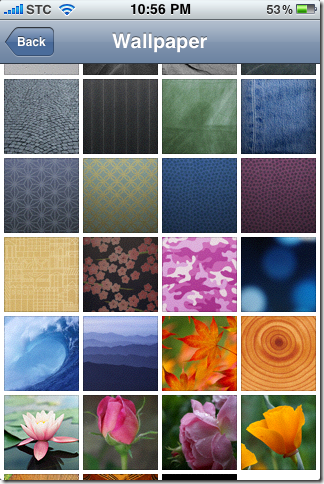 Home screen wallpaper can finally be changed. 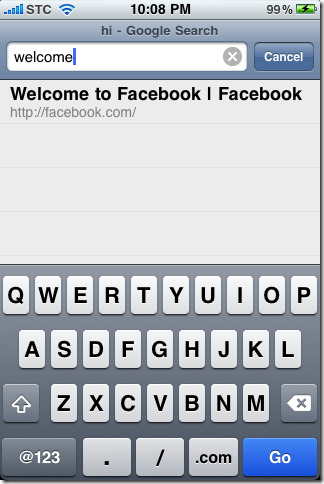 Safari’s address bar is much more intelligent, allowing you to find web adresses from their titles and have search suggestions when you search. AndÂ MUCH MUCH MUCH Smoother animations. 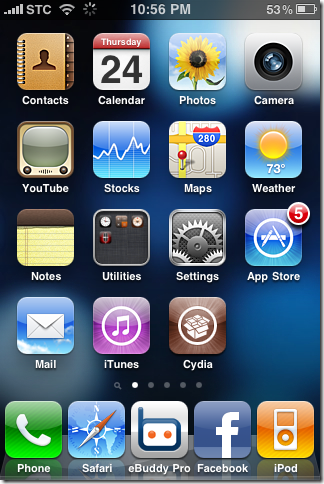 iPhone 3G users should have no problems in jailbreaking and unlocking. 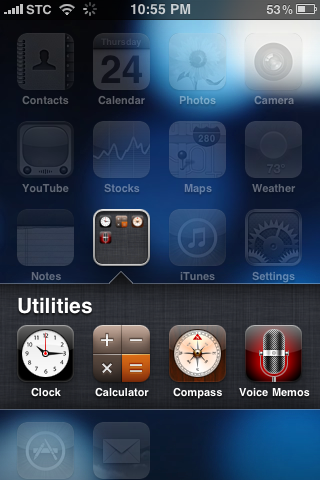 one of the screen shots I noticed your iPhone’s Dock has five icons, how? 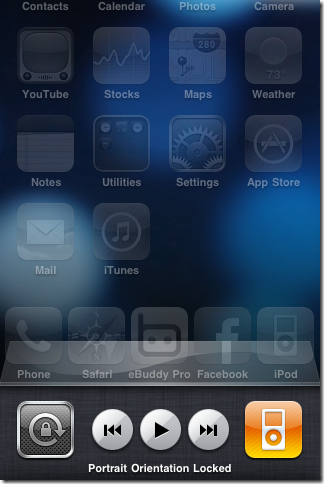 Yes Correct, that can be accomplished by Jailbreaking your phone and then downloading Five Icon Dock through cydia. 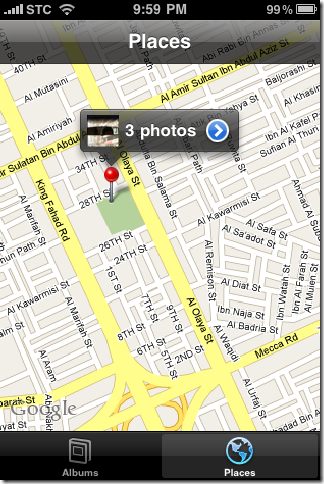 But if your iPhone 3gs is from the new shipment ( as those from mobily KSA) you will not be able to jailbreak iOS4. Easier than all of this , download f0recast from http://www.ih8sn0w.com , it will show you all the info u need. One question: How did you have Internet tethering enabled with STC because only mobily updated their carrier settings via iTunes to enable Internet tethering. How did you get that with STC? 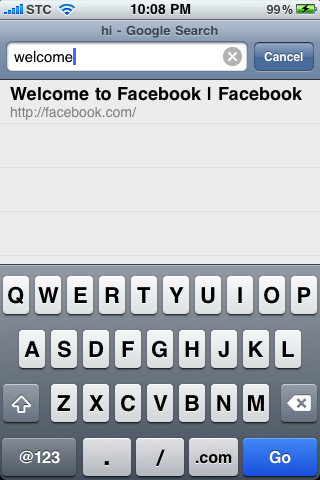 tethering is enabled for “carrier” default carrier profile. Thanks a lot for the advise. It was perfect! Is anyone getting better battery performance from iOS 4 on 3GS ?? I am getting almost double the life time. At the end of the day I still have about 50% battery remaining. 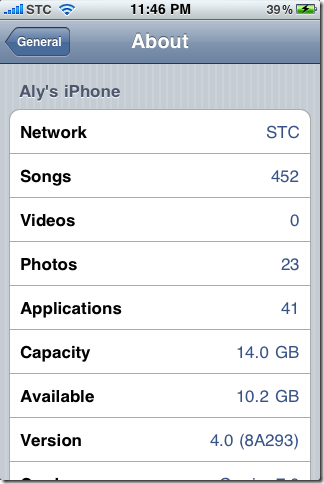 is your carrier settings STC 9.1?